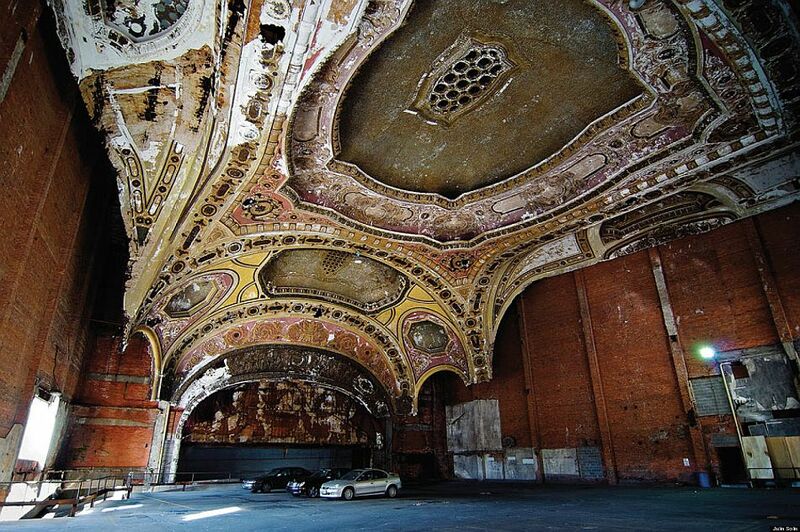 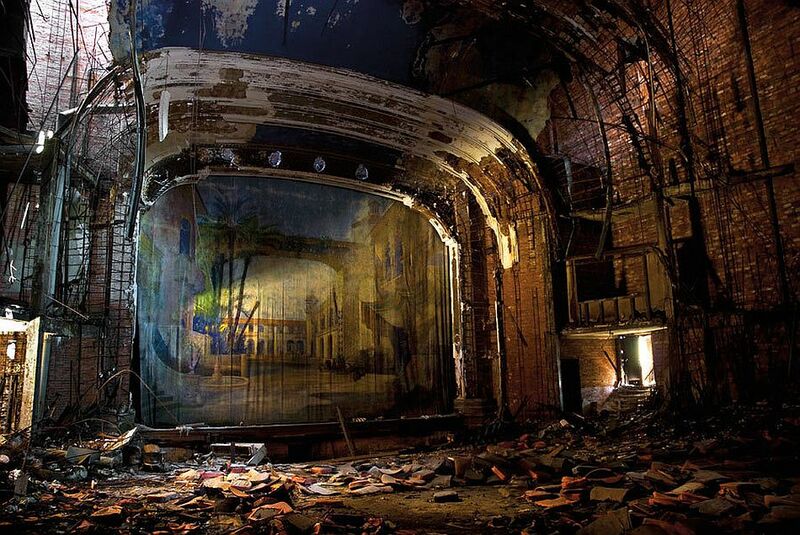 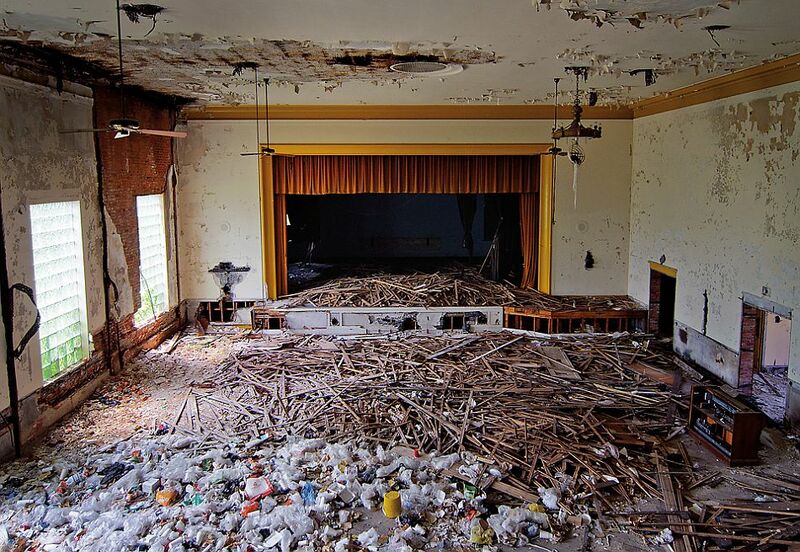 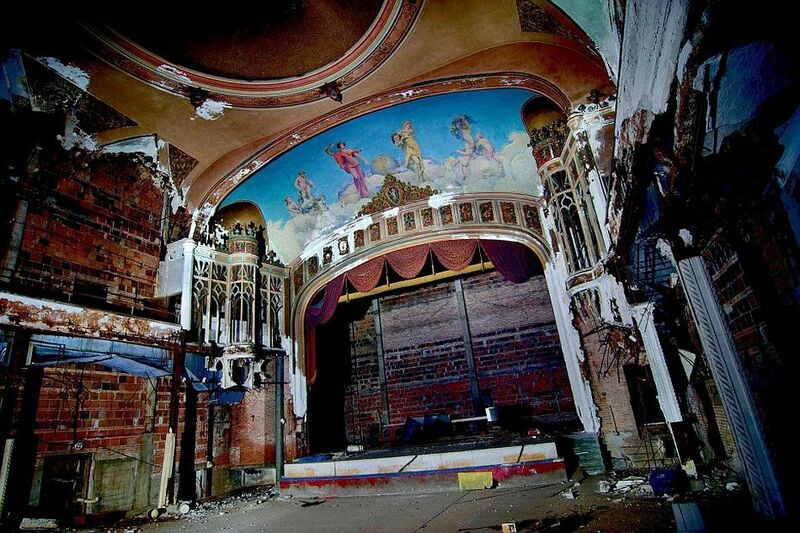 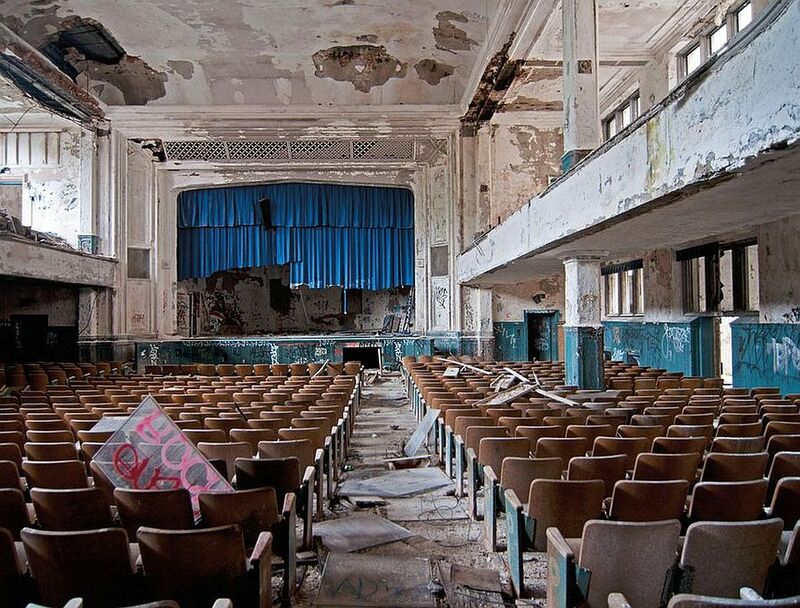 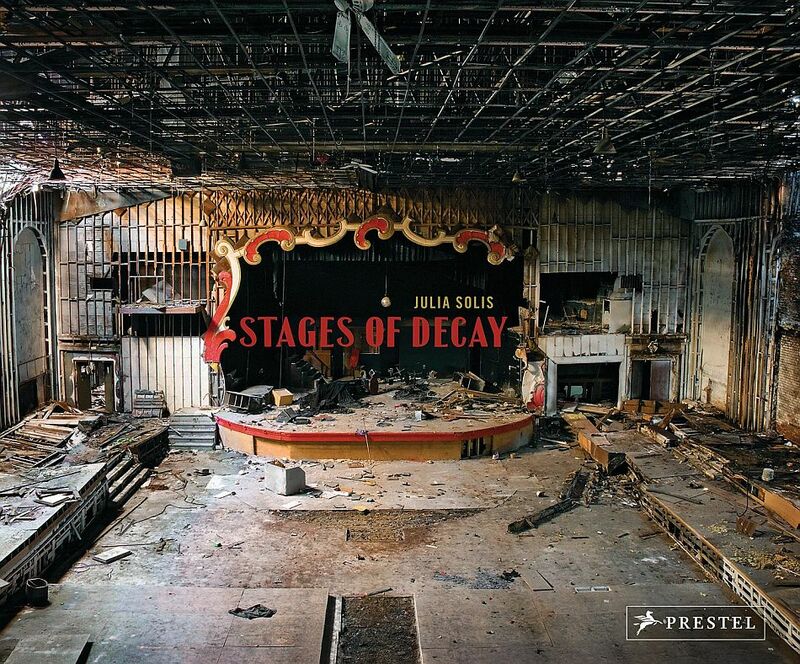 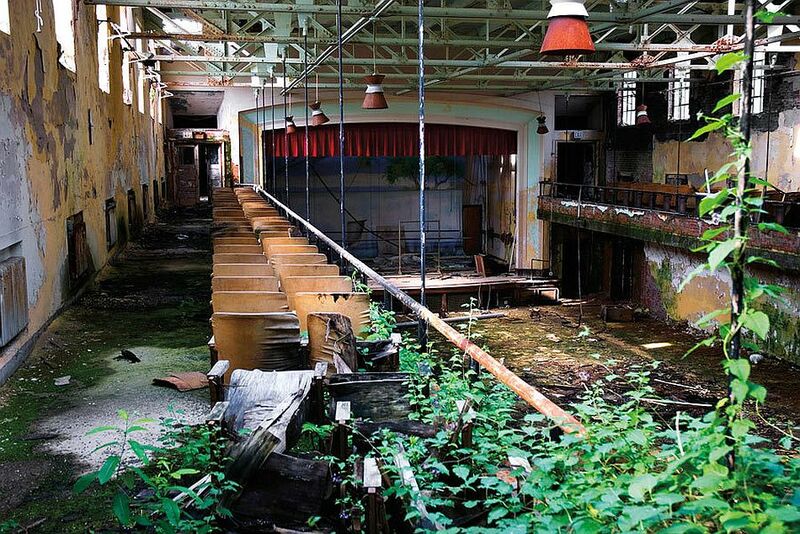 Julia Solis explored crumbling theatres still standing throughout America and Europe. 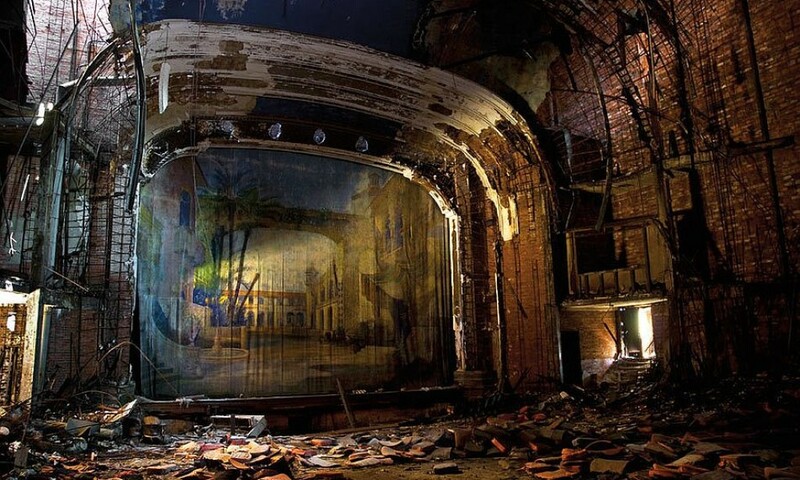 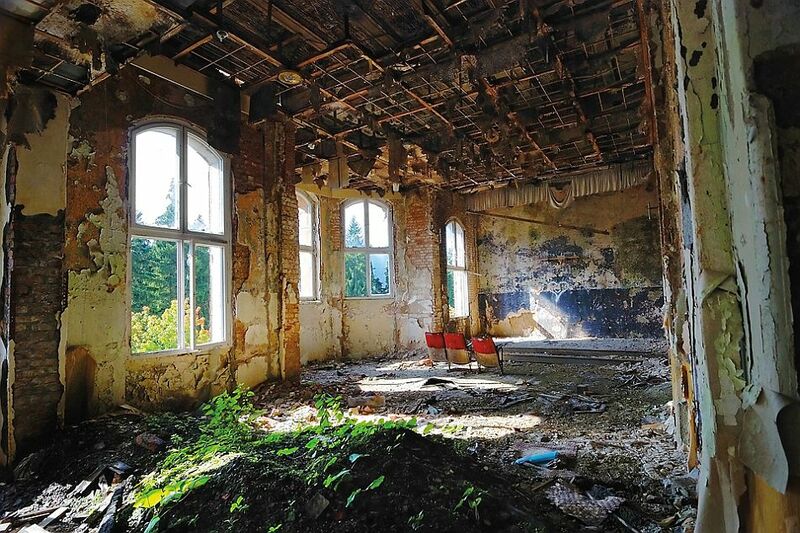 Using abandoned spaces as both subject and canvas, Solis details the theatres’ stages and decorative elements as well as the eerie toll that age and entropy have taken on the once elegant surfaces. 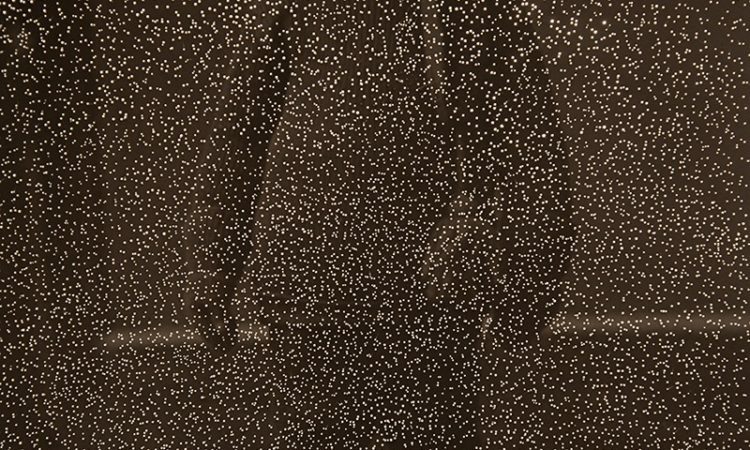 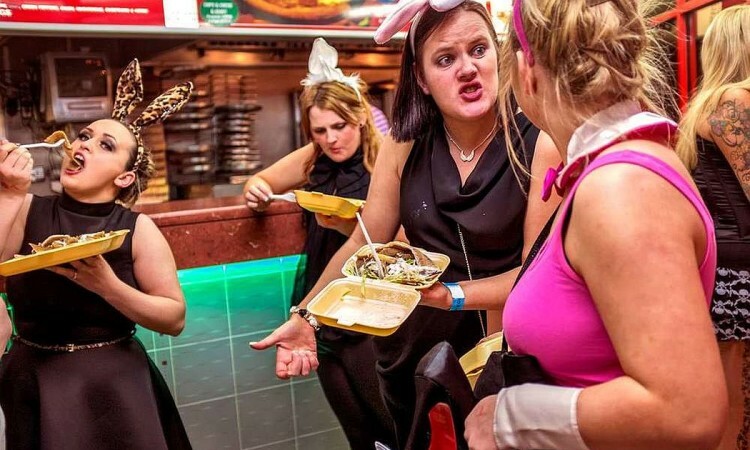 Where once-acclaimed performers such as the Marx Brothers, Mae West, Johnny Cash, and The Who thrilled audiences, Solis now assumes the perspective of the spectator witnessing a different kind of performance. 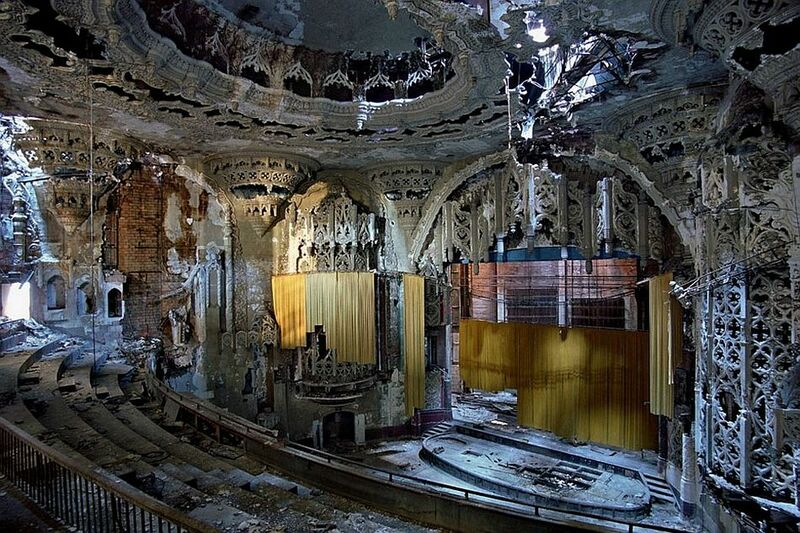 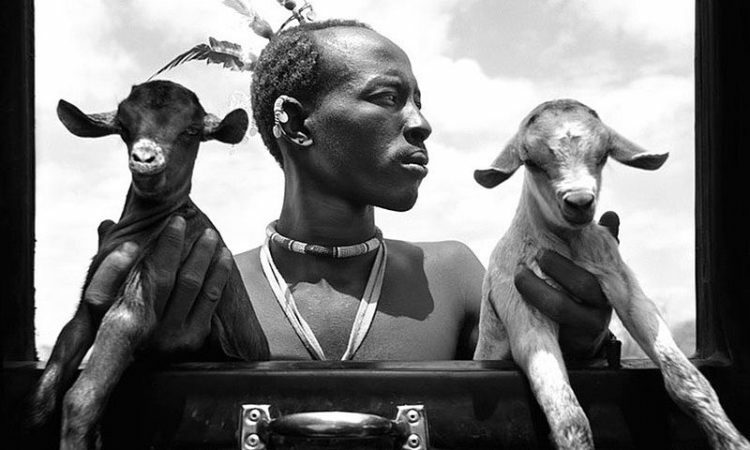 Haunted by the memory of former glory, these locations are sensitively and beautifully captured at a new stage of life, one that takes place long after the final curtain has dropped.